Tired of carrying the laptop everywhere you went? Don't you just wish there was something smaller but had a lot of the general-purpose functionality! Well, wait no more! Because Tigerdirect is offering the Asus Eee PC 901 Netbook for $350 plus shipping and handling. If you are a fan of refurbished laptops, then you are reading the right post! Meet the refurbished Gateway T6836 for $600 plus shipping at Tiger Direct. The (refurbished) Gateway S445-T6836 laptop is no slouch. It is powered by the Intel Core2 Duo T5750 (2GHz), with 4GB DDR2 memory, 250GB disk, dvd burner, 14.1" WXGA, wireless, webcam, and of course Vista Premium. And for style points, this laptop has a pacific blue color theme. As this has a 14.1" widescreen as well, you can compare it to the brand new Acer 14.1" we just mentioned. Detailed specs are available at the Tiger site, so you can compare them line-by-line, and make the necessary trade-offs if you can't decide between the two. If you are a fan of Tigerdirect, or if you have gift cards anxiously waiting to be used, we can help you :-) Meet the Acer Extensa EX4420-5910 for $600 plus shipping from Tiger Direct. This is a mobile friendly laptop as it has a 14.1" widescreen WXGA display. The other specs are decent as well, with an AMD Turion 64 X2 TL-60 (2GHz) processor, a 4GB memory, 250GB hard disk, dvd burner, wireless, webcam, and Vista Premium. Other notables include the ATI Radeon X1250 graphics system, memory card reader, 6-cell battery (up to 3 hours), and things like that! The processor is the Intel Celeron M 560 (2.13GHz), and it has 1GB memory, along with a 80GB disk. The display is a 15.4" WXGA, and it has a DVD/CD-RW Combo, 802.11 b/g wireless, webcam, and the more lightweight Vista Home Basic. Please note that this is a brand new model, it is NOT refurbished or reconditioned! Hello Black Friday! New York City's favorite superstore, B&H Photo is offering the Lenovo L222, a 22" widescreen display for just $179 and with free shipping and handling. Not bad, considering the free shipping! It has a 1680 x 1050 native resolution, 5ms response time, and 1000:1 contrast-ratio. It has both VGA and DVi-D inputs, and comes with its own mini-adjustable stand. For $30 less, at $149 and with free shipping, you can get the Lenovo L195, a 19" widescreen display, with a 1440x900 resolution, 5ms response time, 1001:1 CR, VGA and DVI-D and things like that. But wait there's more! They are also offering some great deals on hard drives. You can never have too much storage! The two day Black friday sale at Office Max features, among many other things, the HP G50-102nr laptop computer. To find this, and the other deals, be sure to check the latest specials at the Office Max website. The specs for this Pavilion are an AMD Sempron processor, 2gb memory, 120gb disk, 15.4" widescreen, wireless, dvd burner, memory card reader, and Vista Basic. With that in mind, the HP 2133-KR922UT Mini-Note netbook can be yours for $300 and with free shipping at Amazon.com. Get one, get two, get one for every kid or grand-kid! It uses a VIA C7-M ULV (ultra-low voltage) processor, 512mb of memory (PC2-5300), 8.9" widescreen display (1280x768), 4gb flash drive, wifi of course, spill-resistant keyboard, ExpressCard, USB, VGA-out, and a few more features. On top of all the other specials running at Tigerdirect.com, with ANY purchase you make, you will receive a free 6-month download of the CA Anti-Virus Plus and CA Anti-Spyware 2008 Home Protection software pack with a 3-user license. This is with any purchase so you have nothing to lose! RUN to your Amazon Gold Box where you will find the Microsoft Office 2008 for Mac Special Media Edition for $100 and with free shipping! To see the special price, you have to check your GOLD BOX! The regular price for this software package is $230. But this is a limited time offer, the special price expires at 1pm eastern time today, Thursday, November 27, Thanksgiving day! So run!!! There are 15 customer reviews of this at Amazon if you are not familiar with it! Celebrate Black Friday at MacMall, with the 13" MacBook (2.1GHz) for $900 after a $50 mail-in rebate. The other specs of this MacBook are 1GB of memory, 120gb hard disk,and white shell. The special price ends right before midnight on Friday night. Additionally it has the Intel GMA X3100 graphics model, Super Drive (DVDR/CD-RW), Gigabit Ethernet, 802.11n WLAN, Bluetooth, and Mac OS X 10.5 Leopard. By the way, the screen is a 13" TFT with a 1280x800 resolution. But that's just one of the many promotions running there, surf around or check their "View more promotions" link for more! Here they are, first up, save 25% off XPS 1330, 1530 laptops and also and XPS 420 desktops on orders $1399+, using the coupon code 9197FGL4LXBKSM during the ordering process. For ONE fans, they have a promotion that gets you 25% off XPS ONE 20 and XPS ONE 24 with orders totaling $1599+. Use coupon code W2CZZQTTB5BZMC for this promotion. Last but not least, you can save 30% off XPS 1330, 1530 and 420 on orders totaling $1799+. For this promotion, be sure to use coupon code 4TQ871TCCGHK4B during the ordering process! That's all for now, stay tuned for more! Netbook fans the temptations keep on coming! OnSale.com is offering the ASUS EeePC 900 for just $300 as part of the Thanksgiving holiday shopping sale-a-bration! Is this a hot deal or not? You vote with your wallet! We just present them to you :-) This is the ASUS N10 Series, model N10E-A1, offered by BH Photo and Video for $580 and with free shipping and handling. This is a more grown up version that the adorable 8.9" models, which are also on sale starting at $310. More grown-up you say? Yes, for starters it has a 10.2" widescreen display, and the 1.6GHz Intel Atom Processor N270. Atom Ant is powering your processor? :-) The other specs can definitely beat some laptops from a couple of yeas ago, as it has 1gb of memory, 160gb hard disk (5400rpm), wifi, webcam, and *applause* Windows XP Home, not Vista. The extra features add to the weight, but compared to a laptop this is still lightweight. It weighs 3.5 pounds. But that's not all. There is a BONUS! This comes with a FREE 8gb Apple iPod Nano and free shipping too. So whether you need the Apple Nano, or not, you can also gift it. The holiday season is just around the corner, so why pay for gifts when you can get them for free? If anything else, you can keep it as a "backup gift", in case someone shows up out of the blue, or a "gifting situation" changes, and you need to make a quick substitution! We have a nice deal for a $500 laptop through the very reputable B&H Photo of NYC! You can get the HP dv6629us for just $500 after a $50 mail-in rebate! This is good for most portable tasks, as it has a dual-core AMD TK-55 1.8GHz processor, 2gb of memory (max 4gb), and a 120gb hard disk, spinning 5400rpm. Also practical is a 15.4" widescreen which is very common these days, along with a dvd burner, wireless, ExpressCard/54, Firewire-400, memory card reader and the like. And a nice touch for fans of graphics, you get the nVIDIA GeForce Go 7150M graphics module. Please do note that this model does not have a webcam. Obviously this is not the most lightweight, but its weight is pretty much standard at this screen-size and price ratio, clocking it just barely over six pounds, at 6.1.
refurbished Acer Aspire AS5315-2326 for $400 plus shipping and handling. Do note that this is a refurbished laptop, not a brand new one! The specs include a single-core Intel Celeron 550 processor (2GHz), 1GB DDR2 memory, a reasonable 160GB hard disk, cd burner (but alas dvd-rom), 15.4" WXGA display, webcam, wireless (b/g), and the more lightweight Vista Basic. The new Best Buy weekly circular is out! So what are the best laptop deals featured there? Let us take a quick look! The front page deal is a $500 Toshiba laptop "value meal". Value meal? Well, the technological equivalent. You also get a Targus slipcase and the Trend Micro Antivirus software package. These are bonus from the store, they are not included standard with the laptop. The laptop itself is the Satelite L305D-S5895, a Best Buy exclusive model, with an AMD dual-core processor, 3gb memory, 250gb disk and 15.4" widescreen. And of course the usual assortment of everyday feature one would come to expect from the $500 laptops of 2008. But that's not all, they are also running a promotion for eighteen months of no interest storewide, if your total purchase is $499 or more. The laptop is $499.97, os even if you don't buy anything else, you would qualify. Of course if you do select this, be sure to put a GIANT calendar NOTICE to make sure you pay off the laptop loan before the end of the 18-month term. That means be done with it by late May 2010. That feels like a long time, but time does ...fly! It may be a great price, but with limited supply, the chances of finding this in-store are not very high. I am talking about the $400 Acer Aspire EX4630-4658. Yes, just four hundred, and of course as always, no rebates at Best Buy. This is a nice deal though, a 14.1" widescreen, which means you find a middle ground between a workable screen size and mobility and battery life. At least some people do. This also has a Pentium dual-core processor, 2gb memory, 120gb disk, and things like that. The other noteworthy laptop is the Toshiba A355D-S6889 for $600, and this is a neo-widescreen laptop, with a new emerging size, sixteen inches of display. Diagonally measures as usual of course. The other specs include an AMD dual-core, 4gb memory (nice), 320gb disk, and things like that. Drop everything and run to your local Radio Shack store! Well, almost. Because for just $350, you can get the Acer Aspire AS4315-2004 laptop. This deal is only good in-store, you cannot get it online. Now the price is $350 and with good reason, it has an Intel Celeron M530 processor (1.73GHz), which is not a dual-core. So ideally you should get this if you plan to use this computer for lightweight applications, like reading email or lightweight web-browsing and light office work. Considering the price point, this is an alternative to the Netbooks that are so popular these days, but instead of getting a NetBook, you would be getting a "real laptop". The specs include a 14.1" widescreen display (1280x800 rez), 80gb disk, cd burner (with dvd-rom, no dvd burner), 512MB of DDR2 667MHz memory (max 2gb), WiFi (b/g), Ethernet, and things like that. As you can see, this is not your average 2008 laptop, however if the feature set and the price-point do it for you, then it's a good deal for you. Otherwise, you are better off with one of the 2008 models, which will cost more, but also have more features. This is a super hot deal at Office Depot if you are interested in a laptop with a 17" widescreen display! 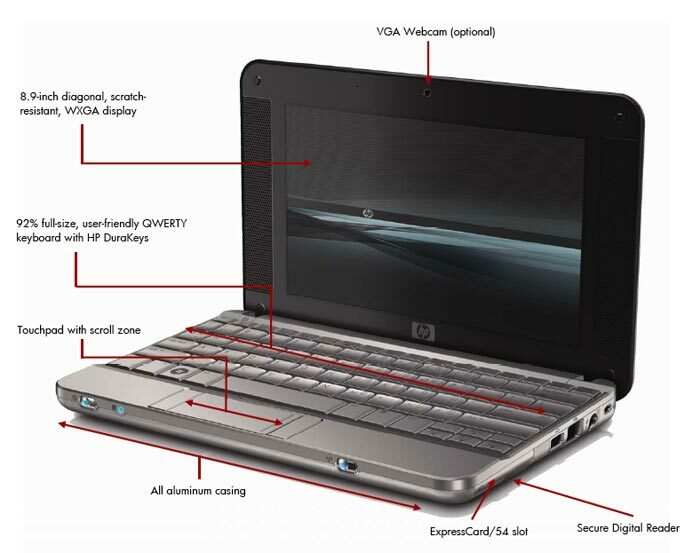 The model in question is the HP dv9999 , offered for just $490 after two mail-in rebates totaling $110. So your out the door price is $600, and after you submit and receive your two MIRs, then your effective price will be $490. YUM! Limit one per household, and as you can see, this is going to be flying off the shelves fast, so don't sleep in. RUN to the stores!!! There are no rainchecks, and they do have limited quality. MacMall is having two nice MacBook deals for those interested in the world of the real Steve Jobs! First up, for those light-travelers, the Apple 13.3" MacBook Air can be yours for $1650 after rebate. Not bad for Air, since htis has a 13.3" widescreen, along with a 1.8GHZ processor, a respectable 2GB of RAM, and a lightweight-friendly 64GB solid state drive (SSD). But when you want power when you are on the road, then perhaps the 15.4" MacBook Pro for $1350 can be a good option. This is fueled by the 2.4GHz processor, and has a 200GB disk, SuperDrive, and of course a 15.4" widescreen. Tigerdirect is enticing bargain hunters out there with the Crucial 2GB PC5400 DDR2-667 SODIMM Memory Kit for just $20 after a $5 mail-in rebate. The rebate promotion expires on December 4, so don't delay! If you are not familiar, Crucial Technologies is part of Micron, one of the largest players in the world of memory and things like that. We start with the stars of the show, the portables themselves! $340 can get you the ASUS Eee PC 904HA, a fine ebony netbook, with an 8.9" display, along with the Intel Atom N270 1.6GHz processor, a respectable 1GB memory and 160GB hard disk. Also you get Intel UMA graphics (you are not buying this for extreme gaming after all), wireless-g, webcam of course, and alleluhiah, Windows XP Home, no Vista allowed! Feed your computer. That's right, feed your computer with words with this Philips SPK3700bc/27 keyboard for just $8. This is a multimedia keyboard of the USB variety. You don't want me to start singing o/~ Memories o/~, but you can get the Kingston 1GB 400MHz DDR1 SoDIMM Notebook Memory for $27. No rebates, and eligible for free shipping and handling. One terrabyte? That is soooooo passe. You can instead get a 2TB Cavalry external hard drive, of the USB 2.0 variety, for just $220 and of course no rebates! We have a great special for you, especially if you are a fan of the Vaio line of laptops. The special is good for Thursday (today) and offered by J&R World of New York. The laptop offered is the VAIO VGN-FW275J/H, a 16.4" notebook, in titanium grey (see the "/H" in the model name), for $1100 and also with free shipping and handling. Staples is spotlighting two HP Pavilion laptops in this week's circular ad. And they are offering two of the most popular screen sizes. Next up, we have the 17" widescreen *yum*, the HP dv7-1132nr at $700 and without rebates! The processor is an AMD dual core RM-70, with a 4gb memory, 250gb disk, dvd burner, enchanced hard disk protection, and the usual suspects in terms of other features, but also, 64-bit Vista Premium. Is 64-bit better? Or more permutations and combinations for blue-screens and memory leaks? :-)) OUCH! NewEgg.com has sent out the latest edition of their subscriber-only newsletter. You don't have to pay to subscribe, simply join their mailing list and you receive weekly special deals with a custom-coupon-code that will get you additional discounts and deals yo! We start with a 16gb Corsair Flash Voyager for $20 after a $20 mail-in rebate. That's about $1.25 per gigabyte after of course the mail-in rebate is factored in. If you prefer an 8gb flash drive and hatorade rebates, you can get the 8gb Kingston Data Traveler for $14. Not bad at all, considering there is no rebate. Both are with free shipping and handling. You can get the OCZ Platinum 4GB (2 x 2GB) DDR2 1066 (PC2 8500) Desktop Memory for $56 after a $30 mail-in rebate. Also from Rosewill, for the same price, the they have a USB-connected 1600-dpi laser mouse. Not bad. And if you are ready to jump on the Sony BluRay bandwagon (* barf? *), the LG GGW-H20L SATA internal Blu-ray disc burner can be yours for $205 with free S&H. This is a bit confusing because a BluRay burner is not a DVD burner, since BluRay discs are not DVDs, but they are BluRay discs. DVD discs are DVDs :-) I hope this explains it! If you are tempted by the Netbook Sirens, then take a look at this lovely! The HP 2133 Mini-Note PC is offered by CompUSa for $480. This has the VIA C7-M ULV Processor running at 1.2GHz, along with 1GB of DDR2 memory, a generous for the size 120GB disk, a netbook-ish 8.9" WXGA display, and the very important a/b/g wireless, along with fashionable webcam. The operating system is Vista Home Basic, so it won't tax the resources as much as Vista Premium would. CompUSA.com is offering the HP 530 Notebook PC FH553AT Bundle for exactly $500. Bundle you ask? Yes, bundle we say! You get the HP 530 laptop along with the HP Deskjet D1520 Printer for $500. You can save an extra $20 if you select to make your payment by PayPal. The laptop itself is fueled by the Intel Core 2 Duo T5200 1.60GHz processor, a 15.4" WXGA display, with 1GB DDR2 memory, along with a 160GB hard disk, dvd burner, 802.11a/b/g wireless, and Vista Business. Hello HP laptop shoppers! You can get the HP 550 Notebook PC FW385AT for $480 after rebate by the new CompUSA. The new CompUSA has been bought over by TigerDirect, so if you love Tiger, you'll love them too! Looking for a classy corporate class laptop with a 14.1" widescreen display? Then check out the Dell Latitude E5400 starting at $750. This package is configured with a dual-core T7250 processor, 2gb DDR2-800 SDRAM with 2 DIMMs, and a 160gb hard disk spinning at 5400rpm. Other specs include a DVD burner, an Intel 4500HMD, wireless, 6-cell battery, 3-year warranty, and Vista Basic SP1. We have a new coupon special, you can SAVE 30% on ALL Refurbished Dell Products on DFSDirectSales.com from now until midnight eastern on November 17. The coupon code cannot be combined with other offers by the way, and the discount is applied before shipping and handling and tax. In other words, the discount is on the products, not the S&H/taxes. This is only good for online orders. To get the 30% discount, be sure to enter this coupon code during the checkout process: NCj)17aj#33. The good news is that the coupon code is valid on all products sold there. The offers are always subject to change, and things like that. Tigerdirect is offering two Crucial memory specials! Hurry up, these deals usually don't last long. First up, the Crucial 1024MB PC5400 DDR2 667MHz memory is on sale for $13 after $9 MIR. Note that the rebate expires TODAY, so don't delay! And the second deal is the Crucial 2048MB PC5400 DDR2 667MHz Memory for $26 after a $14 MIR. Note that the rebate expires today so don't delay! Hello thrifty storage shoppers! If you are interested in a 250gb Maxtor OneTouch 4 Plus, then you may be interested in getting it from J&R World for $70 plus shipping and handling. This is an external hard disk, spinning at 7200rpm, and works for both Mac and Windows. This is good for both USB2.0 and FireWire 400. Tigerdirect is offering the refurbished Acer Aspire AS5315-2326 laptop for $410. This is a refurbished model as we mentioned and it has an Intel Celeron 550 2.0GHz processor, which as you can tell, it is not a dual core. Other specs include 1GB DDR2 memory, 160GB disk, CD-RW/DVD Combo (no dvd burner), 15.4" WXGA display, , wireless (b/g), webcam, and of course Vista Home Basic. Attention shoppers! Buy.com is having a series of new specials! If you have an IBM ThinkPad fetish, the refurbished Thinkpad T43 can be yours for $400 with free shipping. Note that this is refurbished. Did I mention this is a refurb? I think I did :-) It has an Intel Mobile Pentium M760 (2.0GHz) processor, which is not a dual core as you can see. It also has 1GB memory, 80GB hard disk, 14.1" 1400x1050 widescreen LCD which is fueled by the 64MB ATI Radeon X300 card. Sadly no dvd-burner but cd-writer, along with ABG wireless, a bluetooth/Modem 1GB Ethernet, the patented UltraNav, a Secure Chip, and also a Fingerprint Reader. Vista haters will be dancing on the streets because this laptop comes with Windows XP Pro. A 4gb Kingston Data Traveler mini is on sale for $10 and eligible for free budget shipping. Next up, we have the 320gb Western Digital MyPassport portable hard drive going for $116 with free shipping and handling. Tigerdirect has a new wave of specials, starting with a 4gb Centon USB drive going for just $8. This is a cutesy blue colored DataStick Pro ...stick. And now to something boring and very practical, a APC UPA9 Universal Power Adapter - 120V for $40. It ships today. Dell has another special deal, but caution, this expires late on November 12! You can save $507 on the XPS M1530 laptop , and bring its price down to $1449 after the discount is factored in. Not only that, but you can also add a Mini for just $99 more! Go Dell Go! The E-Value Code is 6VAFF-DYDWHF1. This is obviously a laptop blog, but we don't hate desktops, they are computers too :-) Plus we need something to keep our desks anchored to the ground ;-) Okay, kidding aside, Dell has a special sale that is good until late on November 12 featuring the Studio desktop with the 20" SP2009 monitor for $1049 after $245 off. On top of that, you can get the cutesy Mini for just $99 more. Someone's getting an early Christmas present! This desktop, as priced and specified above, has the following key specifications, which of course, like all things Dell, you can tweak to your liking. The best deal money-wise is the Compaq CQ50-139nr, which we featured at the main blog. You pay $500, and get a feature-packed laptop. Great for the thrifty buyers. But that's not all. Five more laptops are listed at Office Max. Let's take a quick look! The most colorful model is the red Gateway M7818u for $650. This is nice if you don't object to the red. It is powered by a dual core T5800, 4gb memory, 250gb disk, 15.4" widescreen, webcam, wireless, memory card reader, and a 64-bit Vista. And now to a smaller screen, a 14.1" widescreen, the HP dv4-1120us can be yours for $700. You get a T5800 dual core processor, 4gb memory, 250gb hard disk, 64-bit Vista, dvd burner, and things like that! Next up, we have the HP dv5-1119nr going for $650. It has the common 15.4" widescreen, the AMD Turion RM-70 processor, 4gb memory, 250gb disk, and the usual suspect of features. Last but not least, we have the 17" HP CQ70-120us for $600, which is not a bad deal for a 17" laptop. That display size is good enough as a desktop replacement, at least for some applications and some people. The main specs include a T3200 dual core processor, 3gb memory, 250gb disk, 64-bit Vista, and things like that. We start with a 21.6" Soyo widescreen display for just $170 or $250 for a 24" LCD display. The price for this two Soyo displays is only good for in-store however. Storage is good especially since the data volume increases and more and more. For $90, you can get the Western Digital My Book Essentials 500gb external hard disk drive. If you have HP laptops, they have the 90 watt AC adapter on sale for $50. The list of compatible models is not listed, so be sure to check the Office Max website or the HP website for details. The Staples circular ad is out, published on their website and soon to be found in the Sunday newspapers. So what laptop deals did we find there? We start with the HP G60-120us offered for $600 after a $50 Easy Rebate. This laptop has a little bit for everyone, including the AMD Turion RM-70 processor (64 X2 dual core), 3gb of memory, 250gb disk, dvd burner, wireless, webcam, numeric keypad, and Vista Premium. This has a 15.6" widescreen display, not a 15.4". How about a more mobile laptop? Well, for $750 (no rebates) you can get the Dell 318-129P. This has a 13.3" widescreen display, Intel T5800 processor, 4gb memory (nice! ), 320gb disk, slot-loading dvd burner, wireless, webcam, memory card reader, and things like that. And now a fully featured laptop for $850 after a $50 easy rebate is the HP dv5-1150. This has a 15.4" widescreen, Intel Core 2 Duo P7350 processor, 4gb memory, 320gb disk, dvd burner, hard drive protection, wireless, webcam, and 64-bit Pentium. If you are looking for a desktop setup, you can get the HP Pavilion A6512p-b for $650 after a $50 easy rebate. 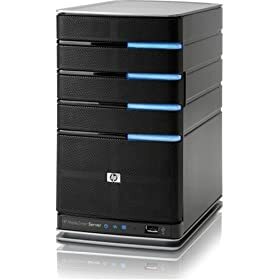 This is powered by the Intel Pentium E2200 (dual core processor), 4gb memory, 500gb disk, dvd burner, card reader, 64-bit Vista Premium, and such. You also get a 19" widescreen LCD bundled with this. Load up the flash drives without fear! The 16gb PNY Attache drive can be yours for just $50. Or if you prefer an 8gb is $25, or a 4gb is $15. Running low on blank DVDs or want to stock up for data burst days? You are in luck, 100-packs of Sony-branded DVD-R or DVD+R can be yours for $23. This is a good price for Sony, it's 23c per blank disc. Looking for a new LCD display? 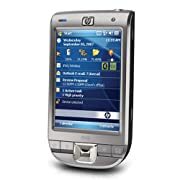 How about the HP W2207 for $250? No rebates! This includes built-in USB ports, integrated speakers and an adjustable height-base. 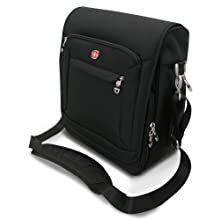 And if you are in the mood for bags and cases, you can get a FREE laptop sleeve by mail with any Sharper Image Business Travel case. The free by mail laptop sleeve has a list price of $40. List price of course is usually higher than current price. This is a limited time offer at Amazon! Look in your goldbox! The deal is only good for two hours, from 3pm to 5pm eastern time! Check it out! Since the price is over $25, you also get free shipping and handling. Once the promotion ends, the price will return to the regular price which is $50.